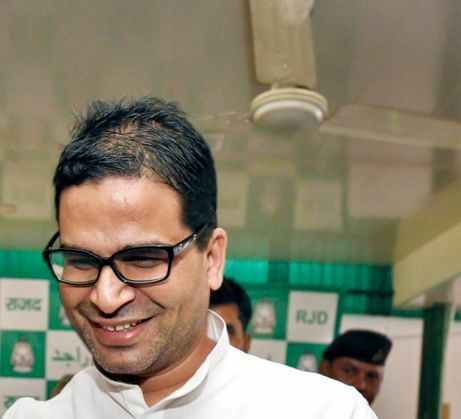 Strategist Prashant Kishor - who helped the Mahagathbandhan (Grand Alliance) trounce the Bharatiya Janata Party (BJP) in Bihar Assembly polls will be inducted as an advisor to Chief Minister Nitish Kumar. According to media reports, Kishore may also take charge of the Congress' campaign in Punjab assembly elections due next year. According to senior Congress leaders, at least three rounds of meetings have already taken place between Singh and Kishor and the latter has all but formally agreed, Mint reported. Kishor - who heads the Indian Political Action Committee (IPAC), a young team of technocrats - was the main force behind Kumar's campaign strategy in Bihar. Incidentally, Kishor was one of the key backroom players for Narendra Modi when he was the Chief Minister of Gujarat. He also played a strategic role in the BJP's bid - and subsequent victory - in the 2014 General Elections.